After several failed attempts at the Motorokr line, Motorola is back with the Motorokr E8. The E8 promises to be more revolutionary than its predecessors with its morphing keypad courtesy Motorola�s proprietary ModeShift technology. 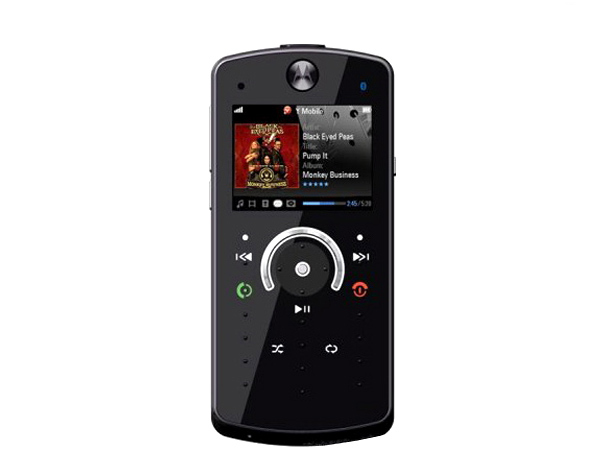 However, poor menu logic and sluggish user interface make this music phone a deal breaker. When switched off, the Motorokr E8 phone looks like a dark, formless wedge-shaped bar with little ridges across the front surface. But power it up the phone lights up like a Christmas tree, presenting users with a keypad that they could've sworn wasn't there a minute ago. Not only does this keypad appear and disappear when you power the phone on and off but it also changes its avatar depending on what function of the phone you currently happen to use- more on that a little later. Coming to the phone's build, it's fairly solid overall but features a glossy scratch-prone, finger-print proof front panel and a nice soft-paint coated rubbery back-panel. The display is a 2-inch landscape TFT 256K colour screen that would be ideally suited for snapping photos or taking videos except that this is not a dedicated camera phone. What the landscape display means is that the navigation experience is compromised and users won't be able to see more than five or six menu items at a time. The display is also not very legible under direct sunlight. And now, for the phone's USP, the morphing haptics keypad- first off, there are no moving buttons, yet when the keypad is powered on, users can feel that unmistakable click of a button as they go about pressing the illuminated keys. This is possible thanks to tiny piezo devices underneath each ridge that offer users with the necessary localized feedback. So essentially it feels like you're depressing buttons when you're not. As mentioned before, the keypad morphs too, so the spaces between the keys consist of other camera and music specific functions that light up only when the camera or music applications are turned on. When this happens, the regular keypad takes a bow and disappears, making way for the feature buttons. Above the keypad, and surrounding the D-pad, is a large touch-wheel similar to the nav-wheel on iPods. But the touch-wheel isn't really a full circle; it is horse shoe-shaped and christened the FastScroll. Using it is very tricky and as the name implies the scrolling speeds up progressively as the user's fingers gets closer to either end of the wheel. If users hold their fingers at either end of the omega, the scrolling continues. While the wheel helps scrolling large lists a breeze, it renders specific selection useless. But this is where the D-pad comes in; much like the keypad, it too is essentially button less but does provide the necessary haptic feedback. Users will find it easier to get across large playlists using the FastScroll and then using the D-pad in tandem to make specific selections possible. The camera aboard the phone is a very sparse one; it offers a maximum resolution of only 2MP. It's no secret that 2MP phone-cameras tend to produce grainy images with bad colour-representation but the E8 takes the cake for this one- users will notice a magenta hue at the centre of the viewfinder that also finds its way in images and videos captured with the camera! This may also be because of the lens which tends to collect dust, on account of being recessed in a deep hole of a narrow diameter. Getting dust out from here is almost impossible. Image processing options are little too- there are only two different shooting modes- night and natural modes. Other options are self-timer and multi-shot. But multi-shot is a little too slow. As for telephony, the phone scores well providing users with unmatched sound quality and signal reception thanks to Motorola's proprietary CrystalTalk technology. For SMS messaging, the predictive text input of the editor offers some interesting options- guessing in advance not only the rest of the current word you're inputting but also what word comes next. On most occasions it's wrong but like the morphing keypad, it's a fun thing to play with when you're still new to the phone. Calling options include speed dialing and voice recognition. The phone comes equipped with the talking phone feature that reads out messages, menu items and also received calls and dialed numbers. The embedded music application is good. It offers a variety of music presets and music organizing functions. 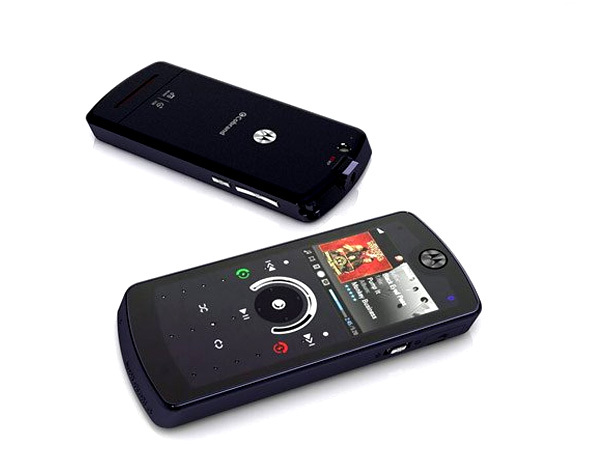 Unlike the first rokr phone that synced music using Apple iTunes, the E8 allows users to sync music from the computer using Windows Media Player. 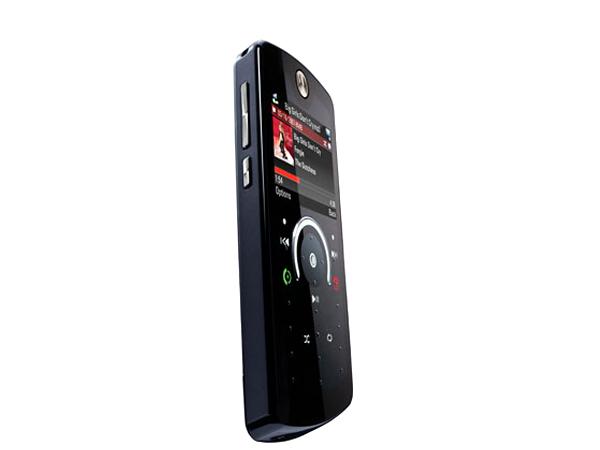 The computer can also recognize the phone as a mass storage device; this lets users who don't wish to sync music using Windows Music Player to simply drag and drop music directly into the phone. The music application lets users access music on both, the memory card and the onboard memory at the same time. As for the sound quality, with a good headset plugged in, users can experience a full sound that comes across clearly across the low and mid frequencies, although the highs may be a little distorted. What comes as a delight is the loudspeaker that offers unprecedented sound quality albeit at low volumes. The phone's internal memory of 2GB means users will have enough space to store up to 300 mp3 songs at 128kbps. Browser-wise, Motorola chose to incorporate the proprietary Symphony browser over the Opera Mini that is regularly found on other Motorola phones. Now it's not as good as the Opera Mini but it does the job. Symphony provides full HTML and page-tabbing support. Page rendering is good for most sites thanks to the landscape orientation of the display. On the other hand, the colour representation of certain objects on most sites is not accurate. There is however no option to use a cursor rendering some objects on sites un-clickable. Surprisingly, the FastScroll performs sluggishly when in browser mode. On the whole, the Symphony browser is not as fast as the Opera Mini. That may also be because the phone's UI is sluggish to begin with. Now for the down-side, starting with the morphing keypad, it's just that- it morphs. Say you want to adjust the volume of the music playing in the background while you're browsing the menus, you'll have to wait for the numeric keypad to disappear, and then wait for the music keys to come on and only then make the necessary changes. Sometimes, users may wish to make frequent changes to music parameters when doing something else on the phone. In such cases, the morphing keypad is a real nuisance. So, it's a definite no-no for the multitasker. The haptic feedback is an innovative addition but its practicality is somewhat limited; depressing the keys may give you a click sound but it feels like an unsatisfactory click. It still doesn't offer users with the touch-orientation or the tactile-feedback of a regular keypad. It goes without saying that this phone is not for people who are message addicts. The menus haven't been thought out well either. Many important functions are buried deep in sub-menus and some menus have as little as one option making them totally unnecessary. 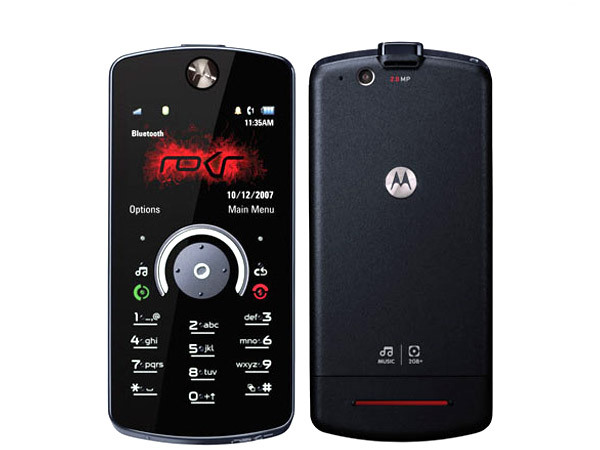 There you have it, the Motorola Motorokr E8, either you love the phone or you hate it. When trying the phone for the first time, users may be awed by the morphing, haptics enabled keypad. But it would be wise to consider the long-term practicality of the phone before purchasing it.